So, we’re coming to the end of the sugar free experiment and it’s gone quicker than I thought. The cravings are still there, but the thought of caving in, this close to the end, keeps me strong. What I’ve noticed is you definitely over compensate with other things, so I’ve been eating more crisps and drinking more alcohol. I’ve tried sugar-free chocolate - tastes okay, like cheap chocolate - I made a sugar- free chocolate cake, which was from a packet mix, so probably not the best anyway, but was dry and not to be repeated. The picture on the packet showed it served with cream and jam which probably would have helped, but they didn't have any sugar-free jam. I’ve eaten more dried fruit that before and fresh fruit, especially for breakfast. I’ve discovered plain coconut yoghurt with honey. Even though it is high fat, this is a keeper. I haven’t had a miraculous moment of change, where I’ve thought I’m over cold turkey and floating on cloud nine, and, like I said before, I don’t think I had that much refined sugar to start with so it hasn’t been such a drastic change. It's been an effort, but it hasn't been really hard. 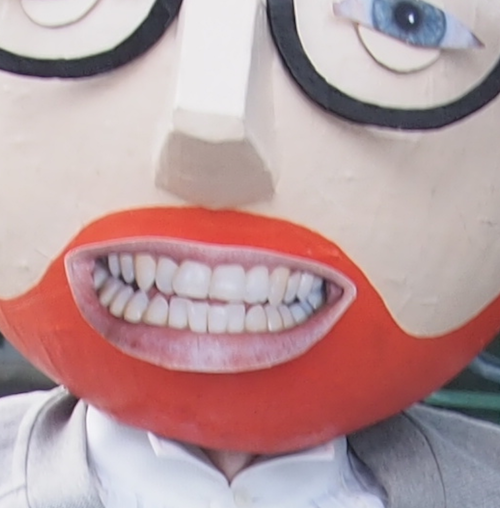 Like I said in Part 1, my teeth and gums feel much healthier and this is definitely a reason to keep it up give or take the odd Jaffa Cake. 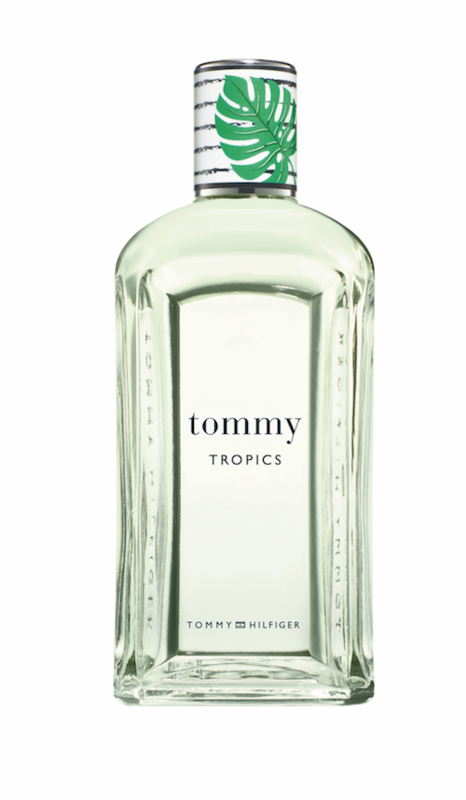 Tommy Hilfiger, which is owned by PVH Corp., is pleased to introduce the limited-edition Tommy Tropics fragrance. Tommy Tropics celebrates the relaxed beach lifestyle, with sun-filled days and cool nights. Notes of fresh mint combine with lavender and the warm, richness of amber. The fragrance packaging features a tropical take on Tommy Hilfiger’s signature nautical theme, with a silver tone cap wrapped in navy and white stripes and a banana leaf. TheChicGeek says, “It’s all about the 90s at the moment, so it seems timely to rediscover Tommy. I’m not going to lie, I can’t really remember Tommy. Back in the 90s, yes, that long ago, I was more a Calvin Klein boy: it was the fragrance equivalent of Blur versus Oasis. Firstly, this is a great price. Fragrance seems to continually escalate in price so it’s good to get something new that is also affordable. It’s a classic fougere, which means it’s lavender based, with a sticky amber dry down, which you get at this price point. This isn’t revolutionary, but perfectly acceptable and ideal for something you’re less precious about to take on holiday. Collagen accounts for 75% of youthful skin, forming the main structural element of the skin in the collagen matrix in the dermis. It provides the structure supporting the epidermis and gives your skin its youthful fullness. When collagen molecules are damaged, skin loses its elasticity and begins to sag, wrinkle and age. Skinade says their research shows that 1 bottle of the liquid collagen drink ‘Skinade' could equate to taking up to 20 collagen pills, due to the way that the body absorbs it. When it comes to collagen, the two most common delivery methods are either tablets or liquids - each working very differently to deliver collagen to the body. The main difference that separates liquids and tablets is the absorption rate of ingredients. The Physicians Desk Reference puts the absorption rate of tablets at between 10-20% as opposed to liquids, which are listed at a much higher absorption rate of over 95%. The reason for this huge discrepancy is that, while nutrition drinks in solution can pass through the lining of the stomach and enter the bloodstream directly, pills and tablets must pass through the digestive system where a great deal of the ingredients are simply passed through the body without being properly absorbed. Another key difference is the mode of absorption and how this affects the collagen you are trying to absorb. While collagen tablets are broken down into their base amino acids by the digestive system, in a drink like Skinade, the collagen avoids this fate by being directly absorbed into the bloodstream. 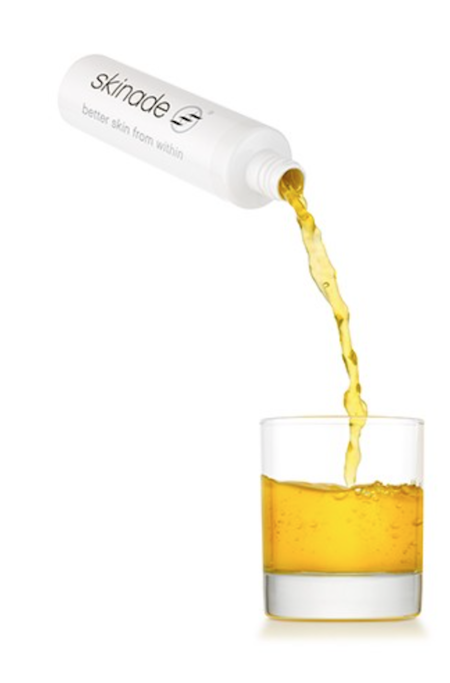 Drinking Skinade has a three-fold effect: increasing collagen in the bloodstream by adding the 7000mg of hydrolysed marine collagen in each bottle (daily dose) of Skinade as well as triggering the body’s own collagen production by firing up the fibroblasts (our own collagen factories). Increasing collagen in the bloodstream also triggers the body’s production of hyaluronic acid which is responsible the optimising skin hydration. To optimise skin health, we must work from the inside out, as well as the outside in. To see the benefits of Skinade, the drink must be drunk daily for a 30 day period. It tastes of Mangosteen and peach and is packed full of vitamins, with just 1.5 grams of fructose sugar, no artificial colours and fewer than 38 calories per 150ml bottle. TheChicGeek says, “When the Skinade arrived, it was couriered in a large cardboard box containing 6 smaller white boxes each containing 5 thin white bottles each. You can buy sachets, which you mix yourself, but they are the same price. On first tasting, it feels like it is masking something, and while not majorly pleasant to drink, you quickly get used to it and 150ml isn’t a huge amount. It’s neon yellow like a Berocca and comes out the same colour! The 150ml is best drunk with or before breakfast, they say, and, apart from a couple of days, I took it religiously at this time. Did I notice any difference? The basic answer is no. In its defence I think this is something you need to do long term to see any effect or lessen the loss of collagen, but at over £100 a month it is quite a financial commitment. I understand the science behind drinking it rather than tablets, but, even at this high dosage, it didn’t have any positive visible effects on my skin". Tried & Tested JOOP! WOW! JOOP! WOW! awakens all the senses with captivating top notes of bergamot, cardamom and violet-leaf. A blend of rich absolutes: irresistibly sensual fir balsam, darkly masculine tonka bean and dangerously warm vanilla surabsolute. The foundation is the supremely woody base, noble combination of distinctive woods, vetiver and cashmeran, a memorable signature, full of masculinity, intensity and texture. TheChicGeek says, “Joop fragrances became synonymous with toilet attendants in dodgy night spots and as such the brand was tinged with the dreaded ‘naff’ label. It’s never really resonated as a fashion brand here, unlike in Europe, and as such doesn’t have much identity. Pronounced Joop with a J here, or with a Y on the continent, it wasn’t cool enough for people to look pretentious by saying it properly. Time for a clean slate then. Coty, the brand license owner for fragrance, has made an effort with this one. The scent is good. It’s warm, woody and amber-like without being sticky which often happens at this price point. There’s masculine favourites of vetiver and tonka bean in there and a few gourmand ingredients such as vanilla and green notes such as geranium. I just think there’s a disconnect between the name, the fragrance and the imagery and bottle. The image is of a mature (gentle)man, the fragrance is quite grown-up and the bottle looks likes a miniature of whisky, while the name ‘WOW!’ seems more immature, fun and for the younger, social media generation. The simple bottle design doesn’t have any shelf appeal and isn’t gimmicky enough. I think they want the One Million crowd with this one. 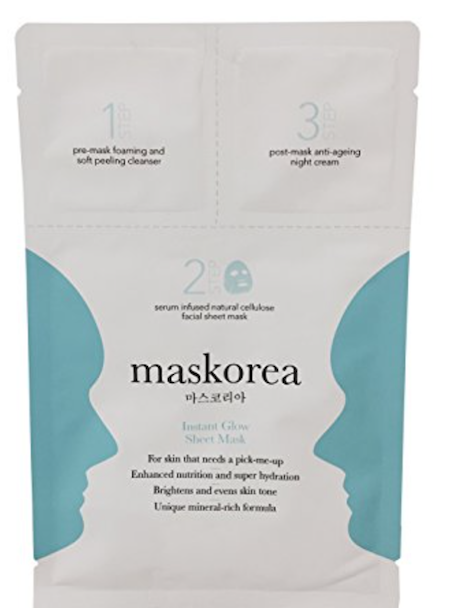 There are currently 3 sheet masks in the Maskorea range including Too Many Late Nights, aimed at younger skin, Instant Glow and Turn Back the Clocks, for more mature skin. They each contain a 3-step treatment experience including natural cleanser, 30 minute sheet mask and overnight moisturiser. A unique 3-step product that includes a foaming pre-mask wash, a serum-infused cellulose face mask and a luxurious post-mask anti-ageing night cream to provide a total regime for ultimate results. TheChicGeek says, “Thanks to Instagram and the American Psycho/Patrick Bateman-type image they have on the wearer, these sheets have become more popular, recently. There’s not much the Koreans don’t know about skincare so you feel like you’re in a safe pair of hands. Right - Patrick Bateman or The Chic Geek?! The mask comes in three parts: a cleanser which is a soft, soapy cleanser, the mask, which is really wet, but that helps it cling to your face - the facial hair parts it struggles with though - and then a gel-like after treatment of anti-ageing night cream. 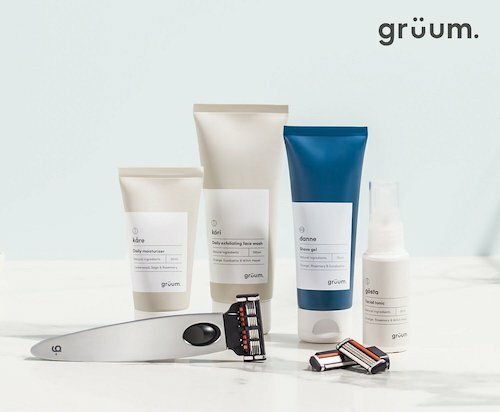 Men like a one off treatment and this is easy to use and not messy. Some masks, particularly clay types, take ages to wash off and get into your hairline. You leave the mask on for the 30 mins, so this isn’t a rush job. The anti-ageing night cream is quite tacky and leaves you with the 'Instant Glow' as promised. My skin felt cleaned and fresh. Next time I would shave first and then apply so it sticks to those areas better. This would be a really nice treatment after a day at the beach or a hot day. Put the mask in the fridge and use it extra cold.